According to the company it achieved total iron ore sales of 3.6 million wet metric tonnes over the last year. Mount Gibson Iron (ASX:MGX) has released its financial results for the 17/18 year, detailing a net profit results of AU$99.1 million. Total iron ore sales of 3.6 million wet metric tonnes (2016/17: 3.2 Mwmt). Sales revenue of AU$254.1 million on a Cost and Freight (CFR) basis (2016/17: AU$182.7m), equivalent to AU$196.5 million (2016/17: AU$162.0m) on a Free on Board (FOB) basis after shipping freight. Gross profit from continuing operations of AU$48.7 million before tax (2016/17: AU$36.5m). Net profit after tax of AU$99.1 million (2016/17: AU$26.3m) including Koolan Island business interruption insurance proceeds of AU$64.3 million. Cash, term deposits and liquid investments of AU$457.5 million at 30 June 2018, an increase of AU$10.8 million over the year, after Koolan Island Restart Project expenditure of AU$81.7 million and receipt of business interruption insurance settlement proceeds. All-in group cash costs reduced by 13 percent to AU$45/wmt FOB (2016/17: $52/wmt). High grade Koolan Island Restart Project on track for first ore sales in the March 2019 quarter, with the seepage barrier completed and dewatering underway. Koolan Ore Reserves increased by over 50% to 21Mt @ 65.5% Fe, extending mine life to 2023. 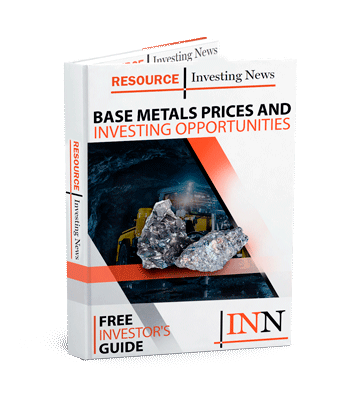 Iron Hill mining on track for scheduled completion in late 2018, ore sales to conclude in early 2019. Right earned to a future income stream based on third party rail volumes, commencing on completion of current rail contract and capped at approximately AU$35 million. Fully franked final dividend of 3 cents per share, payable either in cash or in shares to eligible shareholders as part of the Company’s Dividend Reinvestment Plan. Sales guidance for 2018-19 of 2.7-3.3 Mwmt at all-in group cash cost of AU$52-57/wmt FOB. Click here to read the full Mount Gibson Iron (ASX:MGX) press release.